Made from premium grade 7 ounce leather. 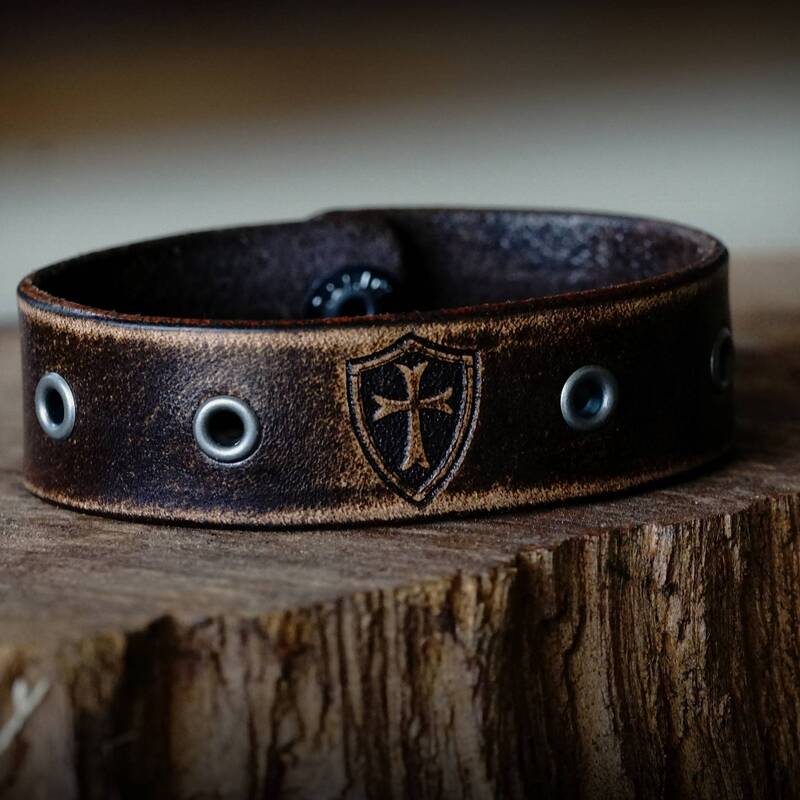 Comes engraved with the Crusader cross and shield shown centered between gunmetal eyelets. 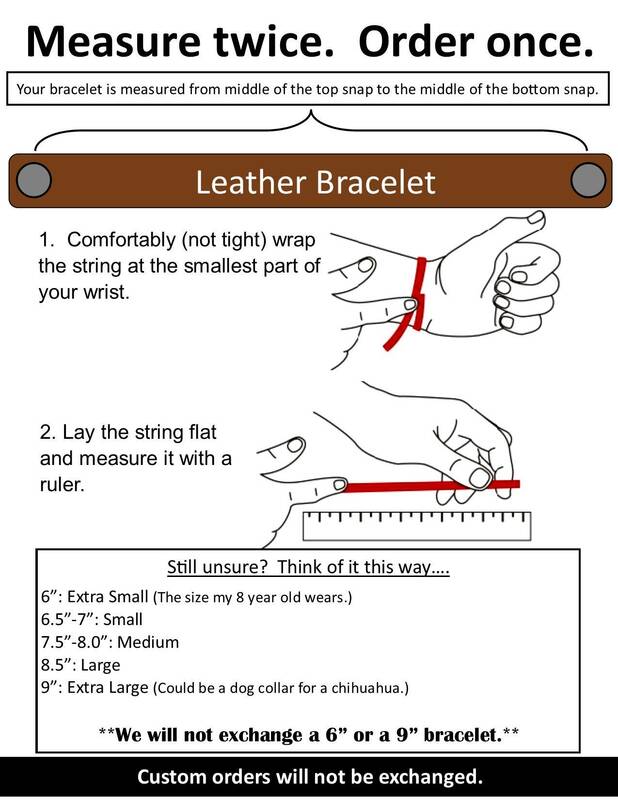 Strap is .75 inches wide. Hand dyed, distressed, oiled and finished in house. Made in America.